There’s a lot of very understandable chatter all over the internet about vaccinations, given the news about measles all over the place. Again, understandable. The discussions that have come to my table have been entertaining, admittedly. Discussions about bodily autonomy (mainly where the subject of parental rights intersects with women’s bodily autonomy) have been frequent. Entertaining and interesting. The more pressing question, though, that I’ve been drawn into discussions about, has to do with what I’ve read called “lifestyle vaccines.” This “lifestyle vaccine” label has been used to describe the Hep B vaccine, along with the HPV vaccine. I’ll save Hep B for another day (it’s most certainly not a “lifestyle vaccine” or whatever other euphemistic name is applied). For now, I’d like to focus on HPV and the vaccines involved in reducing the spread of HPV (Cervarix and Gardisil). Which are also not “lifestyle vaccines,” just to put that thought here. Before we discuss the vaccine, though, let’s look at the virus in question. Human papillomavirus (HPV) is a virus with 150+ different strains. More than a quarter of the strains affect human sexual organs. There are what are known as low-risk types (within which include things like genital warts) and high-risk types (within which include things like cervical cancer). 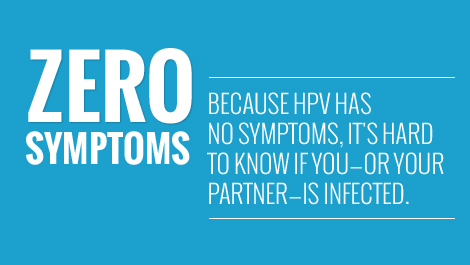 HPV is extremely contagious, and affects both males and females. Here’s what is pertinent between men and women. Women get Pap (Papanicolaou) and pelvic exams to test specifically for cervical cancer, among other things. At this time, there is no test for HPV in men. The only strain of HPV that is even remotely available (visibly) for men is what results in genital warts (feel free to Google-Image on your own). I will note that the variety of HPV that results in genital warts is a low-risk strain. Moving on to the vaccine…there are two. Cervarix and Gardisil. These are (basically) companies that came out with vaccines to protect against HPV. I would go into detail about this facet of it, but, here’s the thing…it’s been gone into, in detail, with plenty of citation and substantiation. There were no deaths in the more than 44,000 participants and there was no statistically significant difference between serious adverse events among the girls who got the HPV vaccine and those who received the placebo. Fainting and headache occurred equally in both groups, so it’s the needle people, not the vaccine. So in summary, more than 44,000 girls received the HPV vaccine in a highly monitored, placebo controlled setting. There were no deaths and the risk of serious adverse events was the same in the vaccine and the placebo group. Young girls faint from needles, not because of any hidden toxin in the HPV vaccine. So what about boys? Well, given that women don’t give HPV to themselves, it seems totally clear that both boys and girls need to be vaccinated. And if you failed to click through above, a reduction by 50% with near zero affect to kids receiving the vaccine should make rather clear that if you fail to vaccinate your sons…as well as your daughters…then what you actually WANT is this virus to keep spreading and that you WANT women to get cancer unnecessarily. In other words: VACCINATE YOUR KIDS. This entry was posted in Welcome on February 6, 2015 by Dr. Weird.